How to Make Your Own Facial Scrub! I recently have been reading a lot of articles that talk about how the microbeads in everyday exfoliators are really having an impact on our environment. It isn’t really something that you think about, I know I don’t. I just imagine that all of the little microbeads go down the drain and into another realm. That kind of thinking has got us into a little bit of a pickle, so today I’m going to share a quick and easy facial scrub recipe that you can make from things that you could find in your pantry. 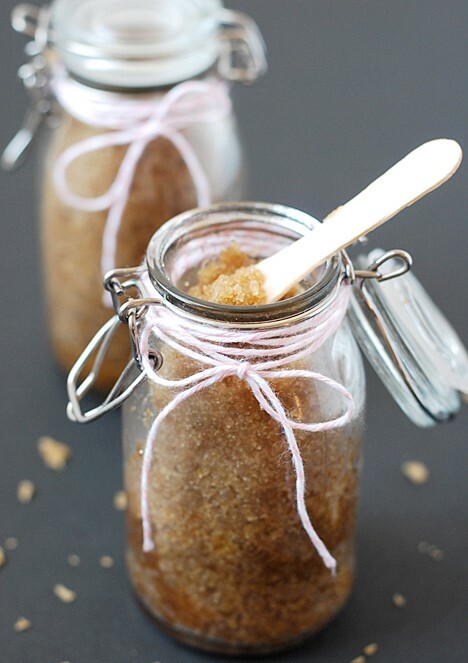 Brown sugar is one of the best pantry exfoliants that you can find. It is small enough to not tear at your skin (I suppose if you really wanted it to, it could. I wouldn’t recommend doing that though haha) and it’s tasty. This scrub is super simple and I know that you’ll all love it. And if you wouldn’t use it as a facial scrub, it would also work well in the shower. 1 drop of your favourite essential oil! Apply the scrub to your skin and massage in a circular motion to ensure that you’re removing dead skin from your face. After, you’ll want to apply moisturiser to cleansed, scrubbed skin. It’s super important to bring moisture back to your face! I hope that you’re all enjoying your day and I hope that this is helpful to you! If you don’t want to make your own scrub, LUSH do some really good facial scrubs. My favourite cleanser, Angels on Bare Skin uses almonds as an exfoliant! I always make lip scrub myself but never thought of making a facial scrub! Great info, thanks! I love facial scrub definitely going to try this one!